Have a BK50 on order and am considering, well, planning on modifying the shape of the headstock. A little less pointy and maybe a little more. Any one do this? If so, any pics? I don't have any pics to share, just my rusty memory of a few I've seen in the past. A couple of them looked great but they had been well planned and executed. It seems that the majority, however, come off looking like a poorly executed amputation. I can only recommend that you DESIGN any changes carefully and sketch or trace them out to get the best possible proportions BEFORE removing any wood from the headstock. If you know the exact look you are going for, the odds of being successful are much greater. You mention both more pointy and less so it seems you are undecided at this stage the direction you want to go. Remember that small changes can have a significant visual effect. 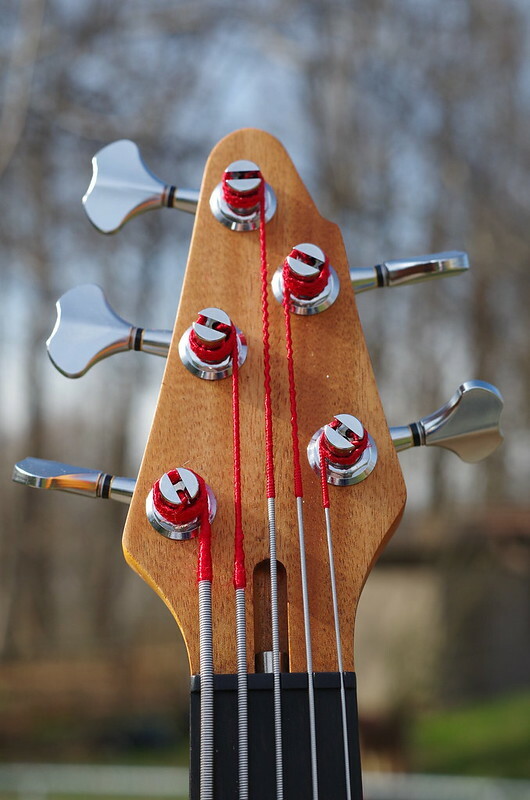 Don't forget to allow for the space that the tuners will occupy. Depending on the headstock you have coming, there may not be a lot of real estate to work with. Obviously, if you are generally artistic or skilled in the area of design, you can give my advise the full value that you paid for it. 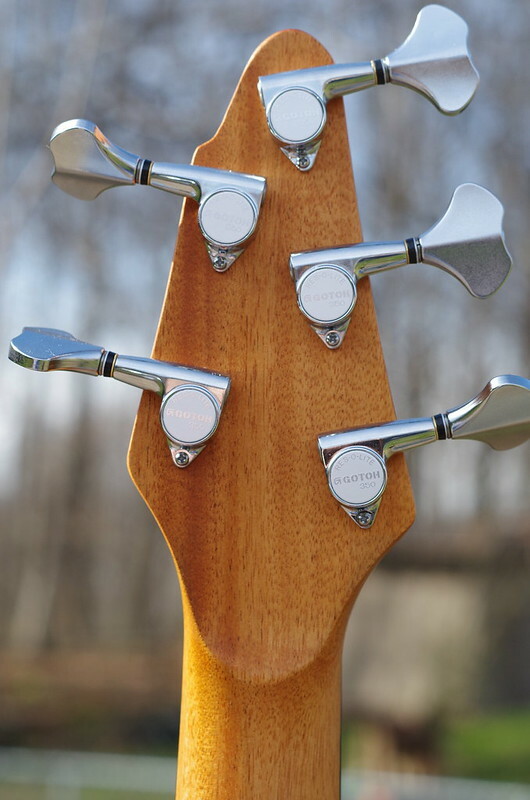 Which headstock did you order on it? I personally would tape a piece of paper of the final design your kind of thinking about over the current headstock that you will be doing away with before you go hacking away at it and take a good long look at it for a while. Remember it will be permanent when finished. But with that said, you really may like it too. Show some pics of your thoughts. spudmunkey wrote: Which headstock did you order on it? I didn't know there was an option? Just the standard pointy 5 string deal. I cut it. It looks a little dumb but I can deal with it.Bass itself is a beast! Thanks for the suggestions. Sorry I didn't get back to the topic. I did draw it out first. Definitely helped. Doesn't look dumb to me, and it reminds me of the "V" style of headstock, especially in the full body shot. I am interested in the other changes you made. The tuners, knobs and pickups all look upgraded. Please share what they are and why you chose to go with them over the stock items. 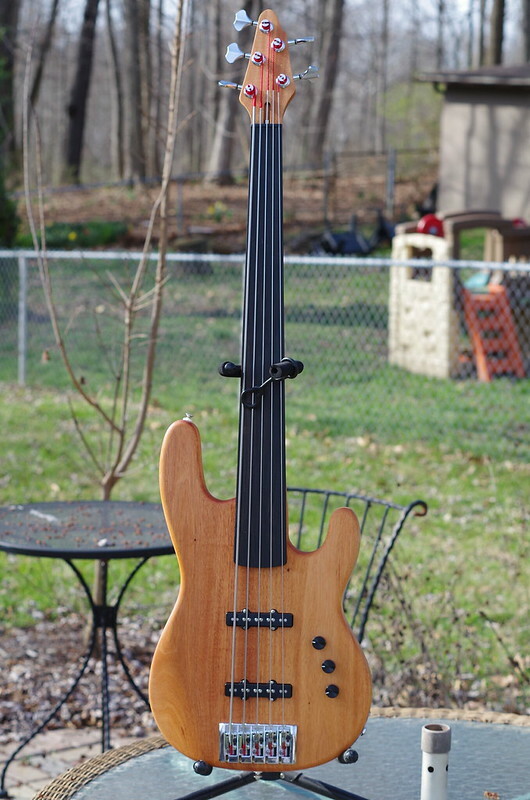 Love that blank fretless board, too and feel it has a bit of kinship with the BK50F I built last year. Praiser wrote: Doesn't look dumb to me, and it reminds me of the "V" style of headstock, especially in the full body shot. Thanks. It's actually getting shielded today. Probably do a few more coats on the body too. The tuners are Gotoh Resolites. Super light and super smooth. I prefer them over Hipshots but they only come in 3/8's. I use them on any bass that will work. Shaved a few ounces off the headstock weight too. The pickups are Dimarzio Area J's. The H50's were on back order when my kit was ready so I them them in and just left them. Knobs are Sadowsky style milled aluminum. It also has a Glockenklang three band pre I ended up not using in another bass. Shows how much I pay attention, huh?